You can browse through different categories, whether you're looking for Wedding Diamond Ring, Anniversary Ring or Bridal Sets. There are pieces perfect for those 'bride to be's or the wonderful committed other-halfs who are celebrating an anniversary and require a much deserved gift. But don't fear all you single ladies. Other than the beautiful earrings, bracelets and necklaces, even the rings are perfect for us too, and can be used as stackable rings to fancy up and outfit. We do need to spoil ourselves sometimes. Above I presented some of my favourite pieces in their collection and I must say I really enjoyed looking through their website as it reminded me how beautiful diamonds truly are. My favourite part is being able to customize the pieces to my preference. 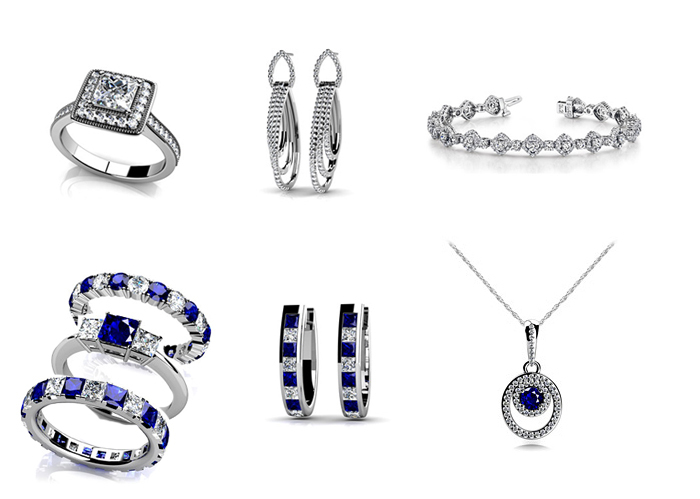 So give Anjolee a visit, and explore the options and browse through the selections provided or just direct your other half in the right direction for that special present he surely wants to get you. Outfit 1: Vera Wang Wedding Dress S/S12, Anjolee Surrounded by Sparkle Diamond Hoop Earrings, Elegant Split Shank Diamond Ring, Timeless Dreams Tennis Bracelet. 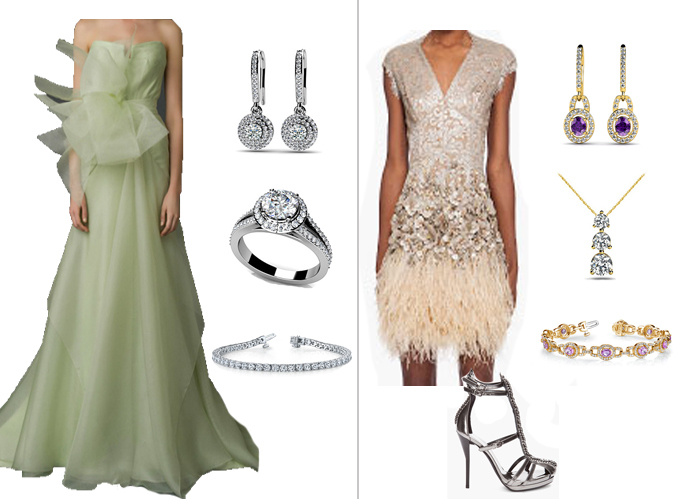 Outfit 2: Matthew Williamson Lace Feathered Dress, 31 Phillip Lim Braided T-Strap Heels via SSENSE, Anjolee Diamond and Oval Gemstone Drop Earrings, Three Prong Ston Pendant, Designer Gemstone Diamond Bracelet.